I have yet to see the Braves lose in Atlanta this season (a streak that will be put to the test again tonight), and this particular game was the most emphatic victory yet. With eleven strikeouts from starter Julio Teheran, two home runs from Justin Upton, and one from Jason Heyward, the Braves cruised to an 11-2 win over the visiting Colorado Rockies, continuing a consecutive-game winning streak that eventually would end at fourteen. Hard-hitting Chris Johnson drove in two runs as he continued a hitting streak that would last eleven games. Gerald Laird, who normally catches Teheran, was out with kidney stones, but he returned as a pinch hitter in the first game of Atlanta’s current series with Philadelphia on Monday. The starter for tonight’s game against the Phillies is the recently returned Brandon Beachy, who appears to have settled in after a rough reentry to the majors a few weeks ago, in a rematch against John Lannan, whose Phillies scored four runs on five hits off Beachy on August 3. Tune in to twitter for live, in-game analysis fueled by 24 oz. silver bullets and one of those cheesburgers if I can finally find another one. This entry was posted in ALDLAND and tagged atlanta, atlanta journal-constitution, braves, brian mccann, chris johnson, colorado, dan uggla, fangraphs, gerald laird, jason heyward, jimmy cliff, julio teheran, justin upton, mlb, music, philadelphia, phillies, rockies by AD. Bookmark the permalink. I don’t believe for one second that the eye surgery has helped me on the mound. I don’t believe that for one second. I think it’s helped me off the field. I think it has helped me with my personal life. Does that make you a better pitcher? Maybe. It’s not going to hurt. But I went in before the surgery 100% convinced that it’s not going to make me a better pitcher. I didn’t do it to become a better pitcher. I did it for me. 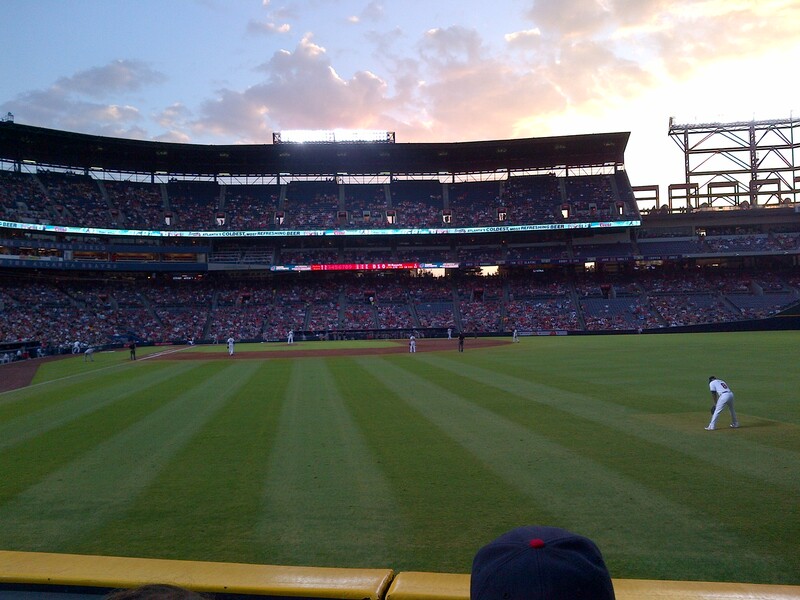 The dark clouds kept AD away from the Ted tonight, but the Bravos won anyway, taking the series from the Phillies.